The Australian Government and ASC Shipbuilding signed the contract after ASC Shipbuilding structurally separated from ASC Pty Ltd and was acquired today by BAE Systems. 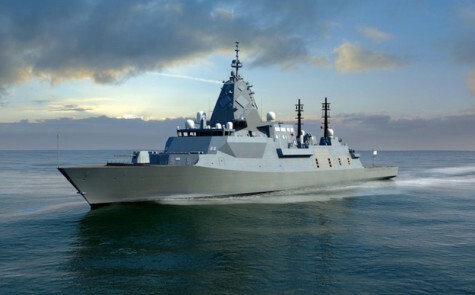 Work has already begun to mobilise the Hunter Class Frigate Program, and the Head Contract signed today incorporates detailed scope for the design and engineering work necessary to allow prototyping to commence in 2020, and to ensure steel is cut on the first ship in Adelaide in 2022. The scopes for the build of the ships are to be agreed and added to the Head Contract in due course. The Hunter program provides a strong foundation for a continuous naval shipbuilding endeavour in Australia, creating and sustaining more than 5,000 jobs across BAE Systems and the wider Australian defence supply chain over the life of the program. In addition to 1,000 apprentices and graduate roles that will be created throughout the program’s life, job opportunities will include engineers and project managers, specialists in steel work, mechanical, electrical and technical trades and many other professions. BAE Systems Australia Chief Executive Gabby Costigan said: “I am delighted that we are embarking on the biggest surface ship project in the nation’s defence history. “Being awarded this contract demonstrates the confidence the Australian Government has in the combined capability of our employees across BAE Systems Australia and our new team at ASC Shipbuilding. “The Hunter Class frigates will be built in South Australia by an Australian workforce, using suppliers from across the country, which will see Australian defence industry develop and sustain a world-class, sovereign naval shipbuilding capability. The Hunter Class frigate is based on BAE Systems’ Type 26 frigate, one of the world’s most advanced anti-submarine warships, which the company is currently constructing in Glasgow for the Royal Navy. BAE Systems through ASC Shipbuilding will deliver a highly capable and versatile multi-mission frigate designed to support anti-submarine warfare, air defence and general-purpose operations anywhere on the world’s oceans.